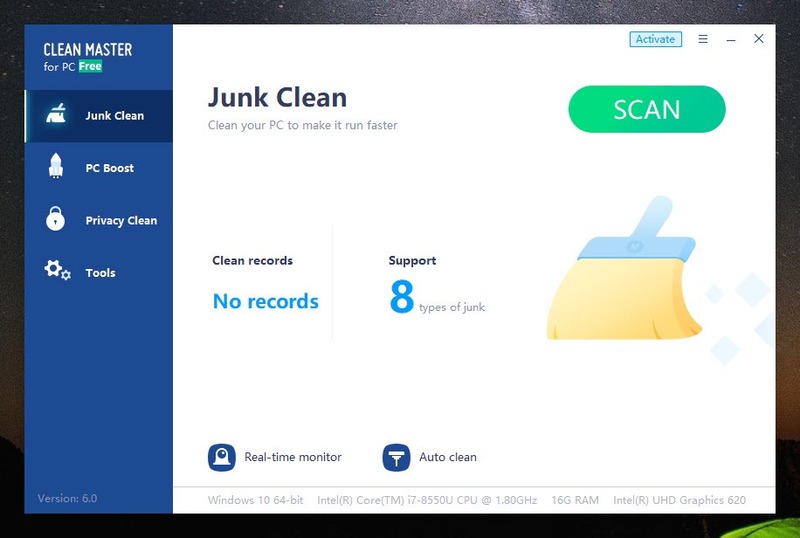 Clean Master for PC is a tremendous tool for keeping your computer free from al junk files and malware. 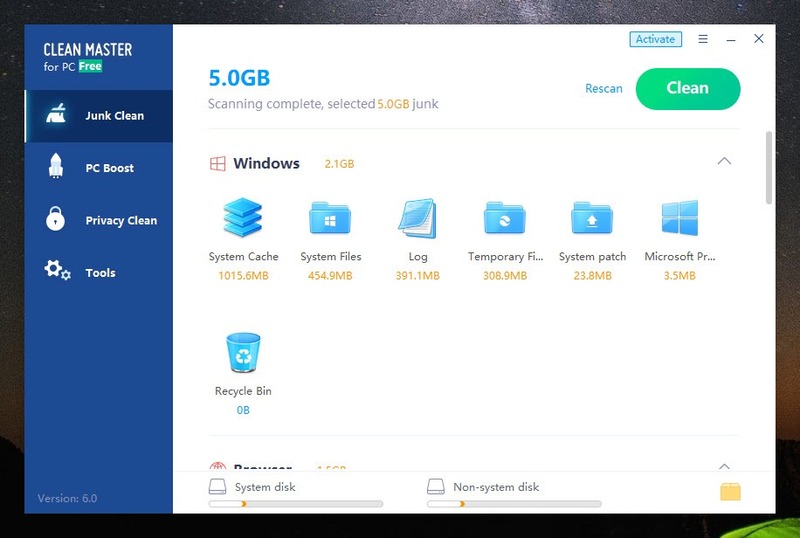 It can scan more than 1000 files at a time to find the junk and residual files of the programs and clean your computer by removing them. You can also improve the boot time performance of your PC by limiting the number of applications that are activated at the time of start-up. Moreover, network settings of your computer can also be optimized to show better results. 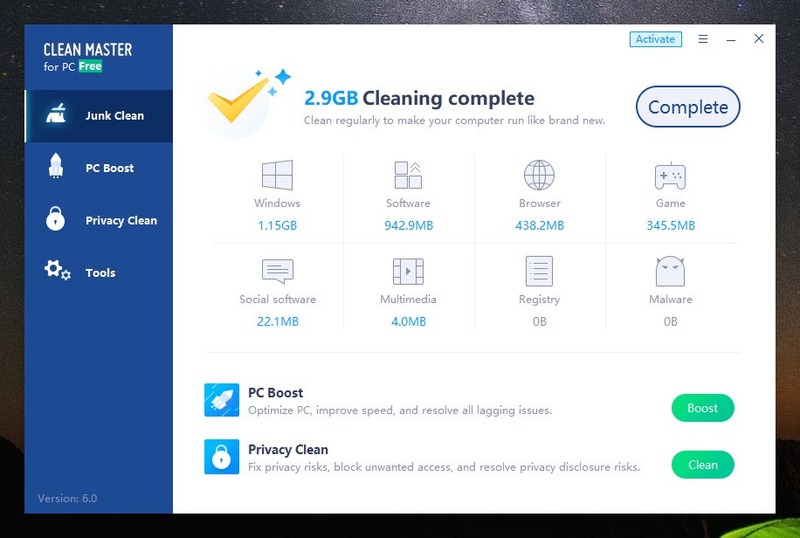 The privacy clean feature makes it easier for the users to remove the risks of being hacked. 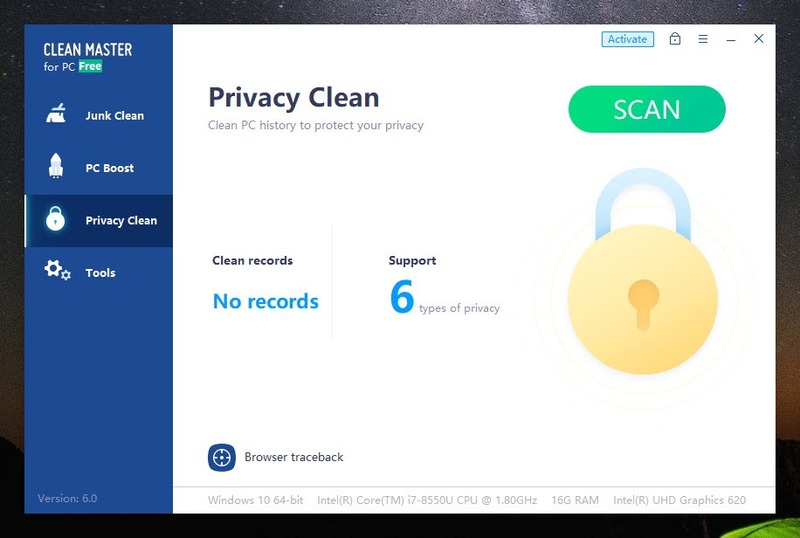 It can keep the intruders and the third parties looking for browsing history away from your computer. 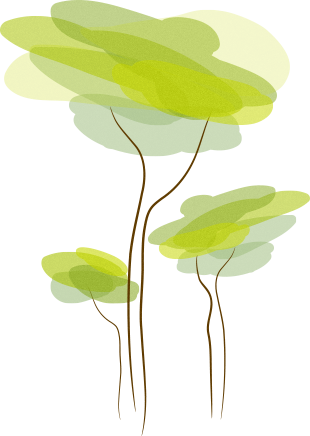 This utility can boost the performance of the computer drivers as well. It can scan, find and fix the issues of the drivers to make them perform well and improve the overall efficiency of the computer. 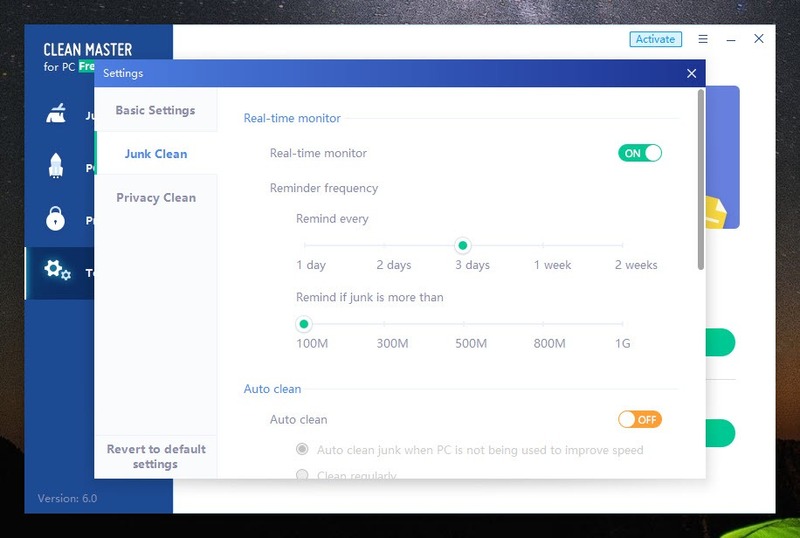 Clean Master for PC enhances the computer’s performance by removing extra files, fixing the drivers and reducing the risk of third-party interventions.